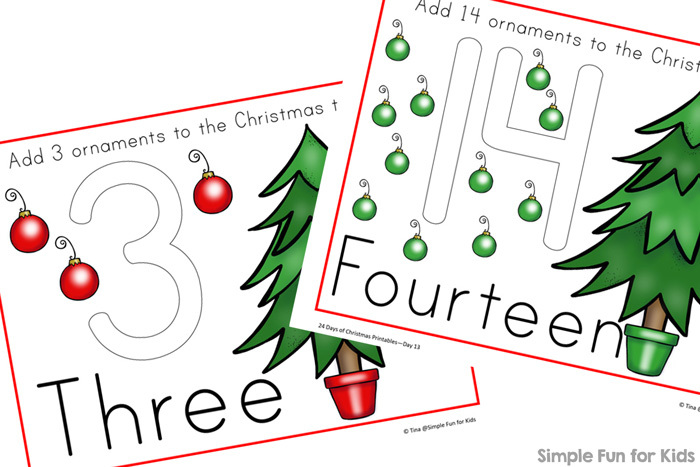 Welcome to the second half of the 24 Days of Christmas Printables – it’s day 13 today! Christmas is getting close! Did you get a chance to play yesterday’s Christmas Bingo Game? Go check it out if you haven’t! 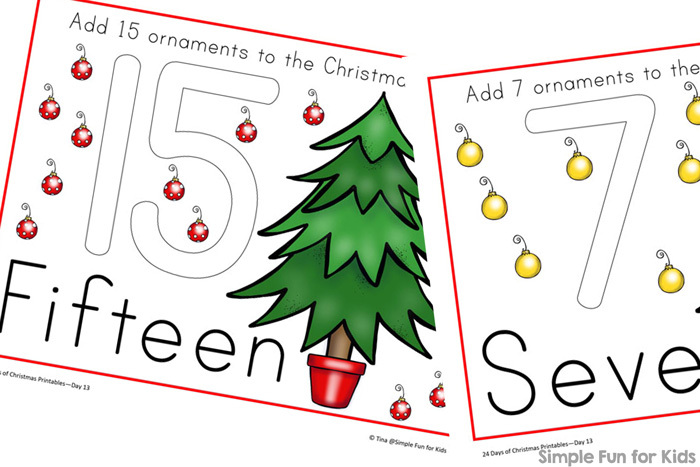 Today, I’m sharing some cute Christmas Tree Counting Play Dough Mats! 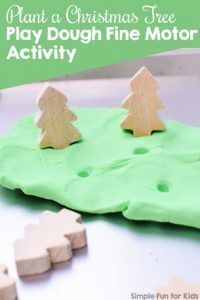 How to Prepare Your Play Dough Mats! Print out the pages and laminate them. That’s all! Despite the name, you don’t have to use play dough with them if you don’t want to! 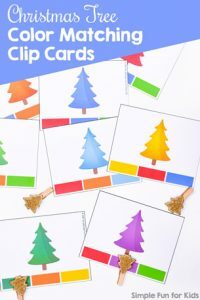 Manipulatives are fun, too – you could use Christmas themed mini erasers, mini jingle bells or even actual mini ornaments! Dry-erase markers are another great option to use with laminated play dough mats. 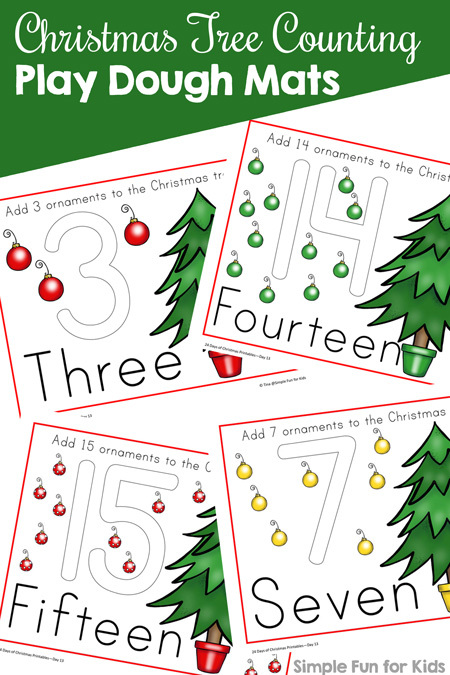 Download your Christmas Tree Counting Play Dough Mats! Or click here to see this page on my membership site and become a VIP member today! 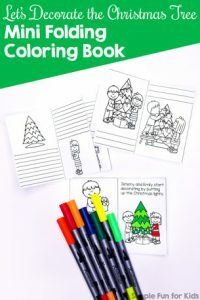 The VIP version includes numbers 1-20 plus two bonus tracing pages. Not ready to become a VIP member? 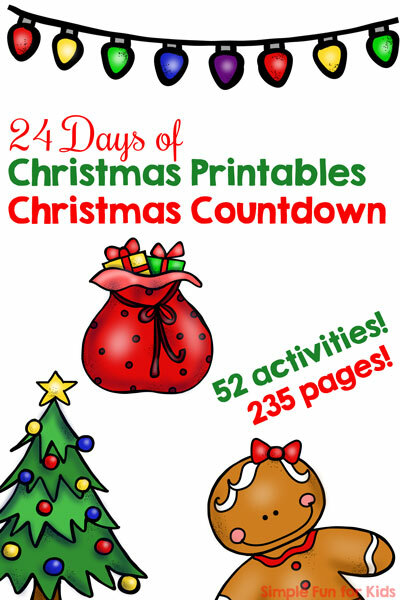 You can purchase the VIP file for this printable only in my shop or buy the full 24 Days of Christmas Printables Christmas Countdown HERE. 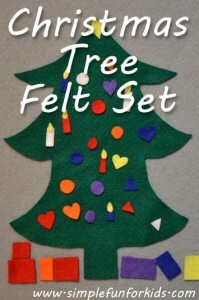 Want more Christmas tree-related activities? Here you go!